Edition 182 of The NR F1 Podcast discusses the Mercedes man's bid for a fourth British Grand Prix win on the bounce, a record-equalling fifth chequered flag at his home race and the pod's chance to take in some live Formula 1 action. 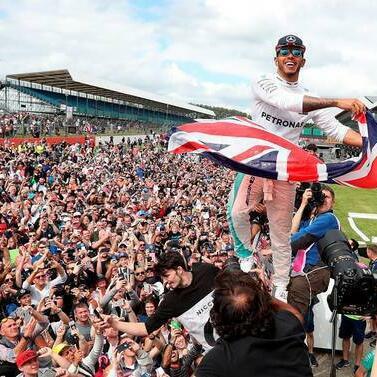 But it is far from a Lewis love-in as the crew also tackle Silverstone's future fate, plans for Norfolk to step in and tucks into some of the latest F1 news as the calendar tackles back to back races. The pod is the second of our 3 pods in 3 days. To complete our latest trilogy, take in our Austrian GP review (e181: https://audioboom.com/posts/6095443) - while our British Grand Prix predictions pod is soon to follow.